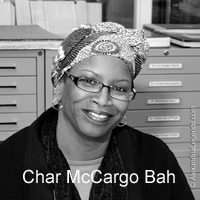 Char McCargo Bah a 2014 Living Legend has obtained a book contract with “History Press”. The tentative title of the book is “The Contrabands and Freedmen’s Cemetery of Alexandria, VA.” This book will be about the Unknown Descendants of the Cemetery. The manuscript is due to the Publisher in April 2018. A tentative book release date is October 2018.